For a long time, there has been speculation about whether people in high-stress jobs like flight attendants are more likely to suffer from higher cancer rates. Now there appears to be evidence that the people who serve us in the skies may indeed be more likely to get cancer. The results of a study of flight attendant cancer risks, the Harvard Flight Attendant Health Survey, were recently published in Environmental Science. The study shows that two major factors in flight attendants getting cancer at a higher rate than the average person are “cosmic ionizing radiation” and disrupted circadian rhythms. Ionizing radiation is radiation from space that is only present in small amounts on earth but that is more present at higher altitudes, putting flight attendants at significant risk. Another factor in the higher rates of cancer for flight attendants is the constant disruption of sleep due to changing time zones and late flights, which can lead to the disruption of sleep circadian rhythms. This is of great concern for flight attendants because chronically disrupted sleep cycles have been linked to multiple types of cancer, including skin cancer and breast cancer. Flight attendants are now concerned about how long they’ve been kept in the dark about the high risk of cancer. Working without any knowledge of certain risks could cause a “failure to test” and may cause flight attendants to miss the early stages of cancer. This can have catastrophic consequences for the cancer victim because early diagnosis is often critical to getting the treatment needed to stop the cancer in its tracks. In the worst cases, late diagnosis can result in wrongful death. The New Jersey medical malpractice attorneys at Blume Forte work with experts in various medical fields to determine if cancers were timely tested for and diagnosed. 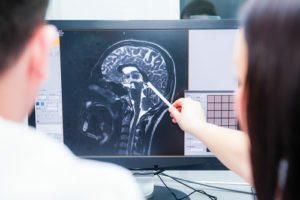 Blume Forte lawyers have successfully handled numerous cancer misdiagnosis cases, including those involving a failure to timely diagnose and treat various cancers. Contact us today to schedule a free consultation. New Jersey Personal Injury Lawyers | Blume Forte Fried Zerres & Molinari from NextLevel.com on Vimeo.